Two of my last posts were actually inspired by things I found on Pinterest. So I thought it was time I devoted some blog space to Pinterest specifically. Pinterest lets you organize and share all the things you find on the web. People use visual pinboards to plan events, decorate their homes, and organize their favorite hobbies. Best of all, you can browse pinboards created by other people. Browsing pinboards is a fun way to discover new things and get inspiration from people who share your interests. If you need an invite, comment below with your email and I will invite you! As someone with a love of social media and marketing, I’m interested to see the impact Pinterest will have on businesses in design, crafts, wedding, food, tourism and other industries with visual appeal. I share some other resources on Pinterest for businesses at the end of this post. 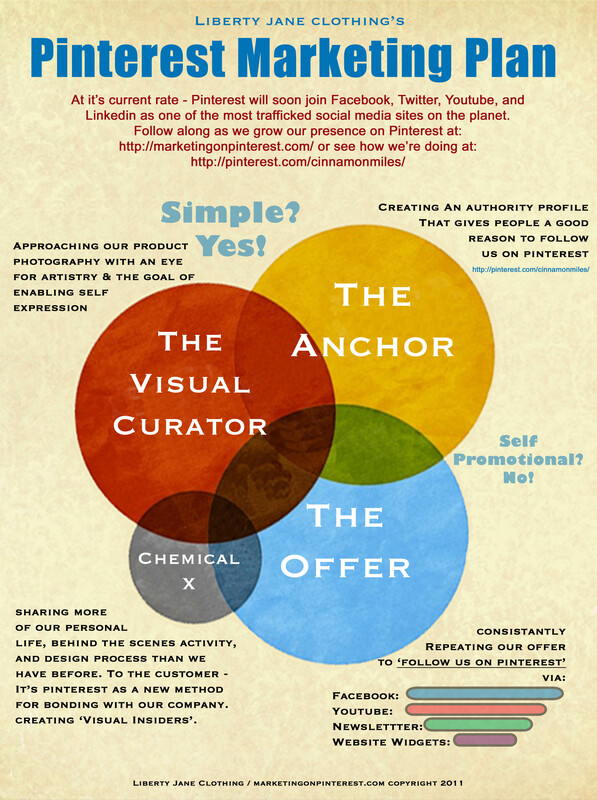 For now, I wanted to share this intriguing infographic I found on the Marketing On Pinterest blog. This blog has some great suggestions on how to establish and improve your presence on Pinterest. How do you think Pinterest will impact business marketing and social media strategies? Have you found any companies or individuals already using Pinterest in their marketing plan? If so, what are they doing to stand out from the rest? This isn’t about the article but when you hit the “tweet” button on your blog it says via @wordpressdotcom instead of your name. I’m guessing this is by mistake considering you want credit for your content. Nick. From what my WordPress allows, I can’t find a way to do that. Do you know how to change that? Thanks for noticing. I don’t know if there is any significance as to where a person gets a pinterest invite, but I thought I would ask you since I share your interest in pr and I appreciate your vocal stance on your love toward God. My address is wayneeternicka at yahoo.